Scott Free Road on St. Thomas and other roads across the territory are in the process of being restored. Gov. Kenneth E. Mapp met with V.I. 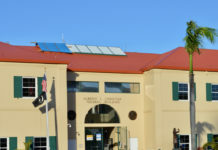 Public Works Department (DPW) personnel this week to prioritize planned road work and to review a list of ongoing and recently completed projects. Among the priority areas named were Whim Road, Anna’s Hope, Smithfield, Estate Work and Rest, Union and Mt. Washington, Estate Diamond/ Mt. Pleasant and Queen Mary Highway on St. Croix; Centerline Road on St. John; and Raphune Hill, Anna’s Retreat, Estate Tutu, Peterborg and Pilgrim’s Terrace Bypass on St. Thomas. 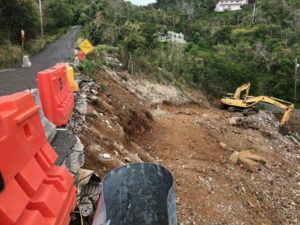 The governor also announced his approval of a contract on Thursday for major improvements to St. Croix’s Melvin Evans Highway. The work, which includes paving, repairs and safety provisions, will take place from West Airport Road to the Industrial Park Intersection. V.I. Paving has been contracted to complete the $5.6 million project, fully funded by Federal Highway Administration GARVEE Bonds. The contract calls for the work to be completed within 165 days. 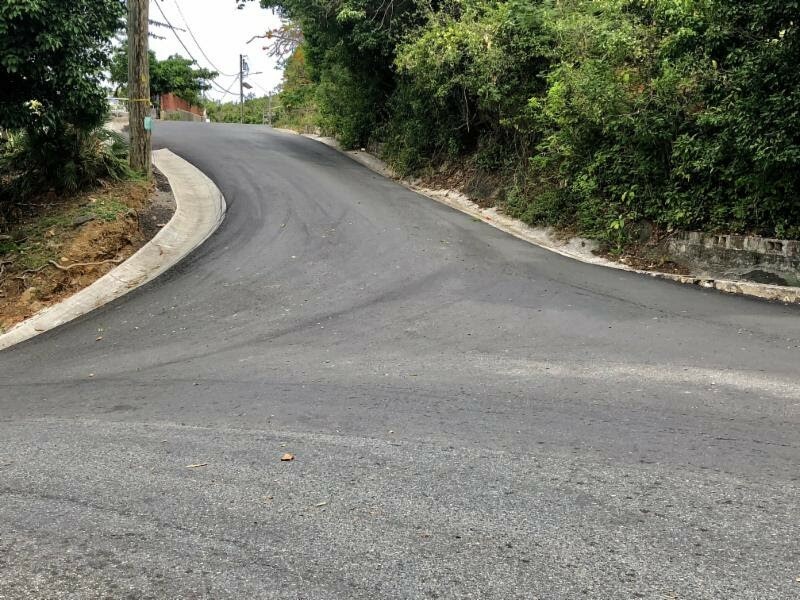 Roads such as Mandahl Bay Road have already been repaired after sustaining significant hurricane damage. In April, Mapp announced that all the territory’s primary roads would be completely rebuilt to U.S. Department of Transportation (DOT) Federal Highway standards. Before this massive project begins, the Mapp-Potter Administration is restoring some of the more deplorable roads that require immediate repair. Earlier this year, a full assessment of the U.S. Virgin Islands’ 1,273-mile public road system was conducted to determine conditions after the storms and the estimated cost of a comprehensive rebuilding and repair program. After completion of the assessment, DPW, with the assistance of the U.S. Army Corps of Engineers, concluded it will cost $1.2 billion to complete the modernization of all of the territory’s roads. The new roads will be upgraded with proper foundations and drainage. They will be outfitted with American Disabilities Act-certified sidewalks, reflectors, traffic signals and crosswalks, according to the governor. The roads will also accommodate water, sewage, power lines and fiber optic cables, and will be suitable for various other communication systems.